Southern Cyprus Villa for sale by owner. 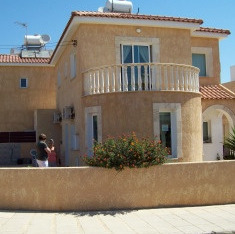 Ideal as a holiday home, holiday rental or permanent home in Cyprus. 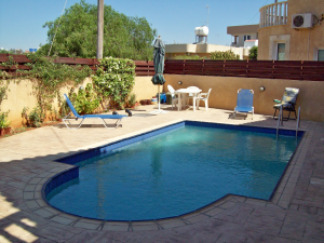 Immaculate detached property with private pool for sale by owner in Southern Cyprus. Beautifully designed, stylishly decorated and well maintained. We have inspected the house ourselves. The private pool is a good size and well maintained by the present owners. with plenty of space around for sunbathing, bbq and dining. Xylofagou is 30 minutes drive from Larnaca airport using the A3 motorway. A large village in Southern Cyprus. 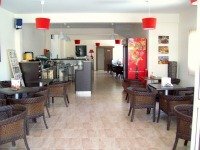 Close to Ayia Napa, Paralimni’s large shopping centre, Protaras and surrounded by smaller red soil villages such as Liopetri, Frenaros, Avgorou and Ormeidia. All these surrounding towns villages are less than 25 minutes drive from Xylofagou. You can find anything you need, from traditional tavernas to all kinds of shops. Bakeries, supermarkets, banks, schools, nurseries, petrol stations, post office, essentially everything you would expect from a working village. Xylofagou is surrounded by a beautiful relatively undiscovered coastland, fishing harbour and sea-caves. All within only a 5 minute drive from the heart of the famous beach resort of Ayia Napa, which makes Xylofagou the ideal spot for either a holiday home or permanent residency. Xylofagou is close to all the necessary amenities yet far enough to enjoy peace and quiet.